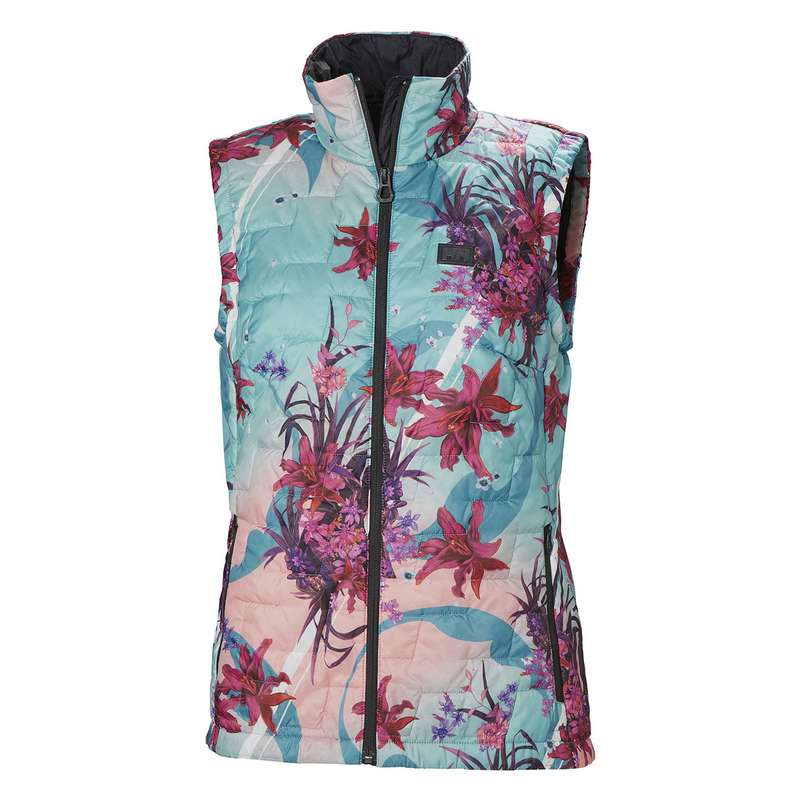 Stay warm without the bulk and weight with the new LIFALOFT™ insulated womens vest. A perfect travel buddy for all year and every where adventures with a PFC free and windproof fabric. LIFALOFT™ is a revolutionary insulation technology that will keep you warm with less weight and bulk. After four years of development and thanks to collaboration with the Swedish Ski Team, LIFALOFT™ has a 20% lighter warmth to weight ratio than comparable products. By combining Primaloft®’s extensive knowledge in synthetic insulation with our exclusive LIFA® fiber technology, LIFALOFT™ traps a maximum amount of air in a small space - making it warm, lightweight, and less bulk. Plus, due to the hydrophobic properties of LIFA®, LIFALOFT™ has an inherent water repellency that will keep you warm, even when wet. LIFALOFT™ has a smaller carbon and water footprint than standard polyester and features Bluesign® approved fabric and PFC free DWR, too. It’s perfect for year-round adventures in all conditions. YKK® CF zipper and dual YKK® zipped hand warmer pockets.